Since those open mic nights, Rod has become an award-winning, quintessential entertainer. 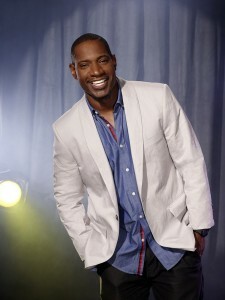 He has graced the stage at Caesar’s Palace, The Gibson Amphitheater, and The Apollo Theater. He is currently the host of his own YouTube shows — Time Out with Rod Man and That Good Funny. Rod Man is competing on the upcoming season of “Last Comic Standing” and has made many other television appearances, including “The Bad Boys of Comedy” for HBO, Martin Lawrence’s “First Amendment” for Starz, Nick Cannon’s “Wild ‘N Out” for MTV, “One Mic Stand” for BET, “The Funny Spot” for TV One, and “The World Stands Up” for BBC America. He even co-hosted a morning drive-time show in Los Angeles on Stevie Wonder-owned KJLH Radio 102.3 FM. The world is catching on to what true Rod Man fans already know — he’s down-to-earth, crazy-funny, and truly a special talent.